Co-authored with Chris Lam Sam and illustrated by Angela, who is an award winning illustrator and designer based in New Zealand. 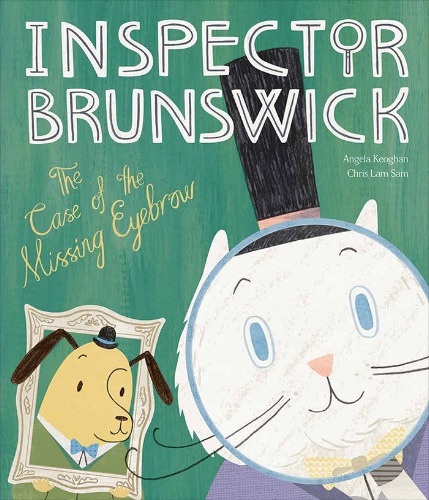 The world's greatest cat detective, Inspector Brunswick, and his loyal assistant Nelson visit the art museum, only to discover the prized portrait of the Admiral is missing an eyebrow! Clever conclusions ensue as they try to solve this perplexing case. Love the cover - congrats again Angela!